More 4 Mom: EZH20 Earth Day promotion! My kids take a water bottle to school everyday. It great to see all those re-fillable water bottles lining the table. Have you seen a little kid try to fill a water bottle via a regular water fountain? It can be a little difficult. That's why your school could benefit from the EZH20. 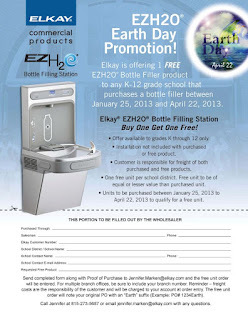 Elkay (you've seen its name on water fountains everywhere) is offers a HUGE promotion for Earth Day. 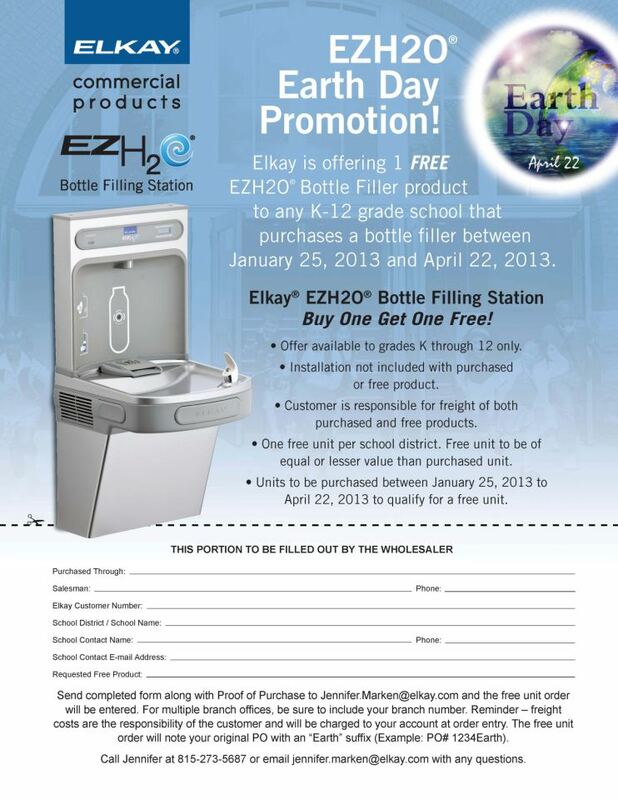 Elkay is offering 1 FREE EZH30 Bottle Filler product to any K-12 grade school that pruchases a bottle filler by April 22, 2013. What is an EZH20 Bottle Filling Station? It is a water fountain that has a separate area to easy fill any water bottle. Just look at the picture above. Give your school a gift that makes life easy for kids, faculty and helps our planet. Get the EZH20 Bottle Filler today!